Rapper King Kaka continues to enjoy more success. The rapper is expected to share stage with billionaire Bill Gates in a few weeks in New York. 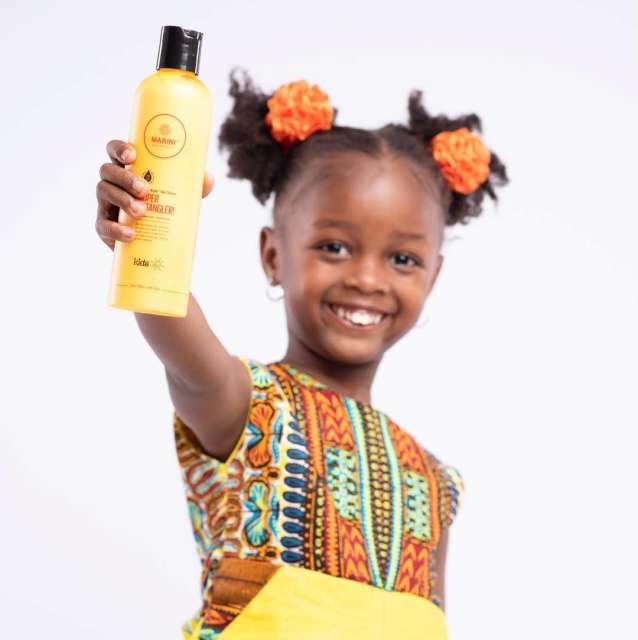 Her daughter Gweth has now been appointed as a brand ambassador for Marini Naturals. Marini Naturals is Michelle Ntalami’s company. Gweth was picked by the company as the ambassador for their newly-launched kiddy range officially known as Marini Kids. “A big congratulations to Gweth for being our second girl brand ambassador! @gwethgeezy is @nanaowiti and @thekingkaka’s little princess!” Ntalami. She went on to praise the young kid who just clocked three years a few months ago. “She is just cuteness overload, and has the most adorable bunny smile ever! She’s always camera-ready and perfectly strikes any pose! I love her energy, her warm personality and her sweet charm. Perfect as a Marini Kids Ambassador! Also, her natural hair in pig-tails is just everything! Shout out to my friends @thekingkaka and @nanaowiti for raising such a beautiful little princess! Her future is so bright! Congratulations @gwethgeezy and welcome to the @marini.naturals family!” said Ntalami.